I love everything JG writes, but this one is my favorite of his. It's just a little lighter, which makes it more fun...and you have to love Hassan! Looking for Alaska is my favorite. It has made into my top five list of books that I'll reread no matter what. Honestly, I love everything he writes, his characterization and his voice is just fun to read! Jessica - I replied via email! Najela - I recently listened to ALASKA on audio, and it blew me away. Barnsdale - If you've read everything but one book, you're not an awful fan! hehe. But ALASKA is well worth the read, so pick it up already! Hard to choose a favorite, because they're all so good. I guess I might have to go with Paper Towns, because it's just so original and creepy. 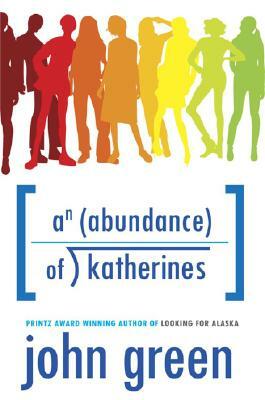 It's kinda like a cross between Looking for Alaska and An Abundance of Katherines, I think. There's a road trip and a mysterious girl and a male protagonist that I just wanna hug. Love this author--So glad we made a good choice for you! Cringing to admit this, but I haven't read ANY John Green yet. So I'm bumping up KATHERINES to near the top of my TBR list, thanks to you! I listened to Katherines on audio...I didn't really care for it. I do love me some Will Grayson, Will Grayson though! Thanks for sharing your review. I haven't read any of John Green's books but it sounds like I should. I tend to read mostly fantasy and paranormal, but it's always good to broaden your horizons.